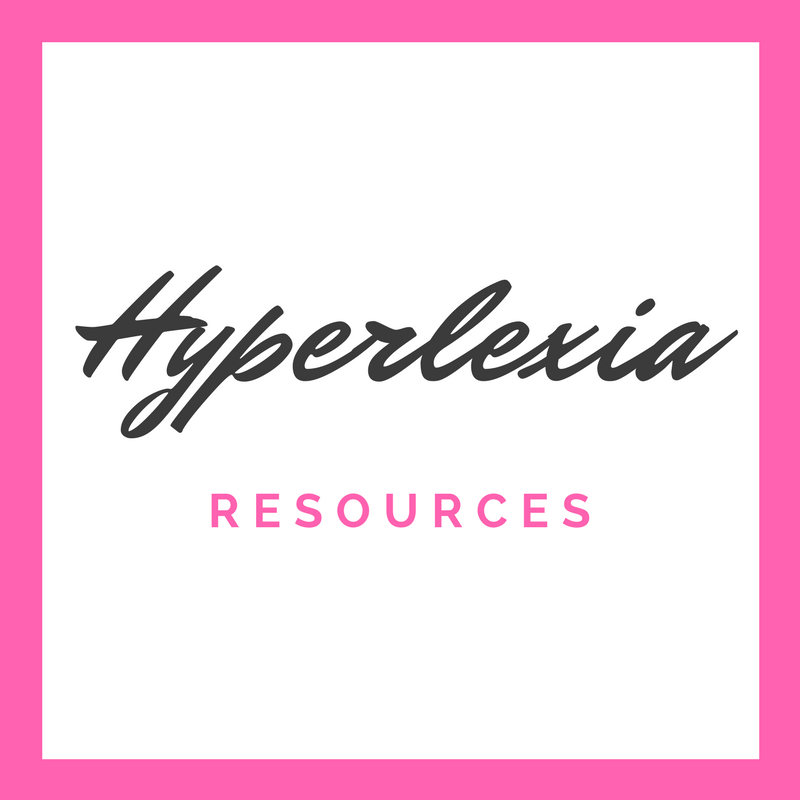 Tips on how to help a child with hyperlexia improve their communication and conversation skills. Carrying a conversation with my son with hyperlexia is often short and sweet or, for a long time, it was nearly non-existent. 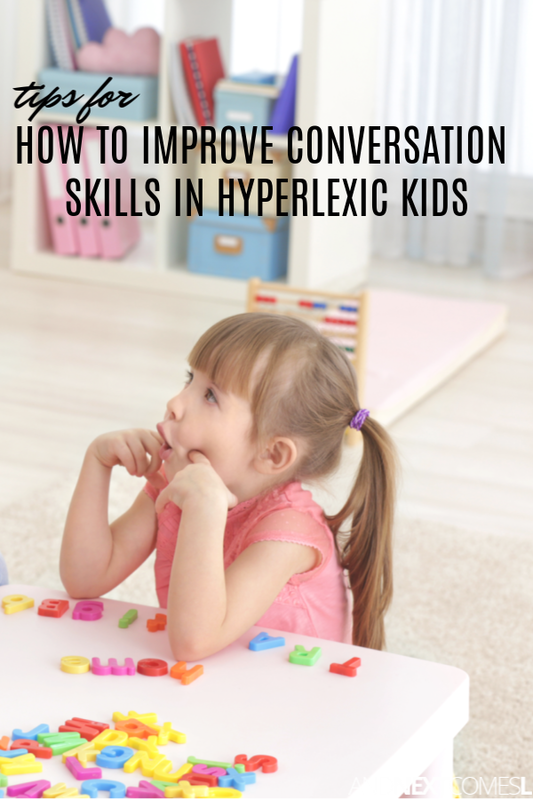 Filled with speech errors, pronoun reversals, and echolalia, the conversational skills of kids with hyperlexia can be a bit awkward at times. I'm also sharing 10+ tips for improving conversation skills in kids with hyperlexia. One of the biggest red flags for me when J was younger was the lack of conversation. When he was almost four and K was almost two, I could hold a better back and forth exchange with K than I could with J. And when I could get a little bit of a conversation going with J, it was echolalic in nature and usually ended quickly. It was frustrating to know that my son who could read and spell practically anything could struggle with his oral language so much. I kept wondering why the huge disconnect? Once I learned about hyperlexia, though, then it all made sense. Keep in mind though there seems to be a lot of variance in the conversation skills of kids with hyperlexia, much like how autism is a spectrum. You can see why carrying on a conversation with a hyperlexic child would be difficult when there are all of these issues in their language skills. Another Possible Unique Characteristic of Hyperlexic Conversational Skills? Now, J is obviously the only hyperlexic child that I have personally known and/or spoken with, so I wanted to include a separate section dedicated specifically to his speech skills. I'm not entirely sure whether this unique characteristic is specific to hyperlexia or if it is specific to him, but it is definitely worth pointing out in case it is a hyperlexic trait (and research just hasn't mentioned it yet). One of the most recurring "issues" (I use the word issues loosely here) that we deal with is J's canned response of "I don't know." Whenever J is asked a WH- question, he automatically responds with, "I don't know." Most people assume he genuinely does not know the answer, but that's incorrect most of the time. I have to frequently remind all the teachers, family friends, and professionals in our life that J struggles with WH- questions and as a result, requires extra time to process the question. So when he answers immediately with "I don't know," it's not that he doesn't know the answer. It's just that he needs a few extra seconds to process and comprehend what he was asked. So if you wait a few seconds after he responds with his canned response, then he does answer almost always with an appropriate response. His canned response is his way of buying himself some time to process the question. We are currently working on encouraging him to say phrases such as "let me think about that" or "give me a second to think" instead of his normal "I don't know" response to avoid the confusion during conversation with others. But until then, please give him those few extra seconds that he needs. 1. Give them time to respond. First and foremost, give your kids a chance to respond! Remember that WH- questions are particularly challenging for hyperlexic kids, so they may need the extra time to process what you were asking. 2. Use cloze statements and open-ended statements instead of WH- questions. You're more likely to get a conversation going with a hyperlexic child if you rephrase your WH- questions as a statement where they can easily fill in the blanks. 3. Use speech scripts to model conversation skills. 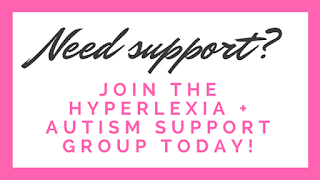 Kids with hyperlexia have to be taught social and speech skills very specifically. So if you want them to be a good conversationalist, then you'll need to teach them exactly what to say when someone asks them a question. 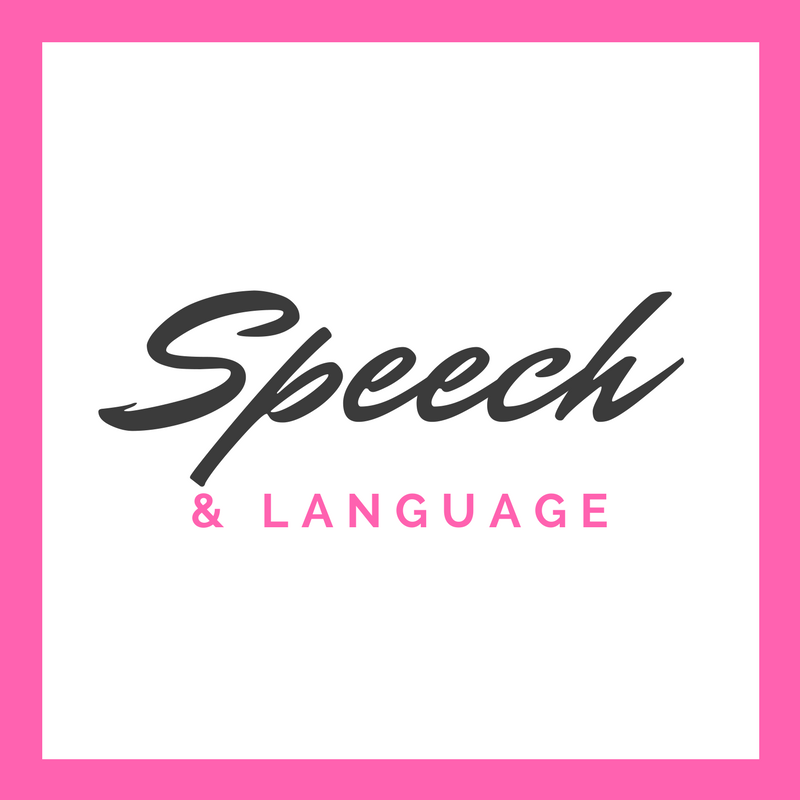 You can write your own speech scripts for practically any situation. "How much does a glass of lemonade cost?" - "It costs $1." "How are you going to spend the money that you make?" - "I'm going to buy Pokemon cards (or whatever they intend to do with the money). "I would like one cup of lemonade and one rice krispie square. How much would that cost?" - "That would cost $2.50." This one may seem a bit unusual, but if you think about it, knock-knock jokes follow a predictable pattern and require two people interacting back and forth in order to make the joke work successfully. So even if the jokes are formulaic in nature, these kids learn to exchange words back and forth and even practice WH- questions, two skills important in having an actual conversation with another person. 5. Read books that use speech bubbles. I've discussed this topic before, specifically as it pertains to comprehension, but books such as Elephant & Piggie books visually displays a conversation. Kids with hyperlexia can see how pronouns are modified between person to person and how to answer WH- questions appropriately, among many other things. Read these types of books out loud together with each person taking the role of another person. Alternatively, you could read play scripts together with older children as it would have the similar effect of teaching the back and forth nature of conversation. 6. Use an interesting tone while speaking or even sing the questions. 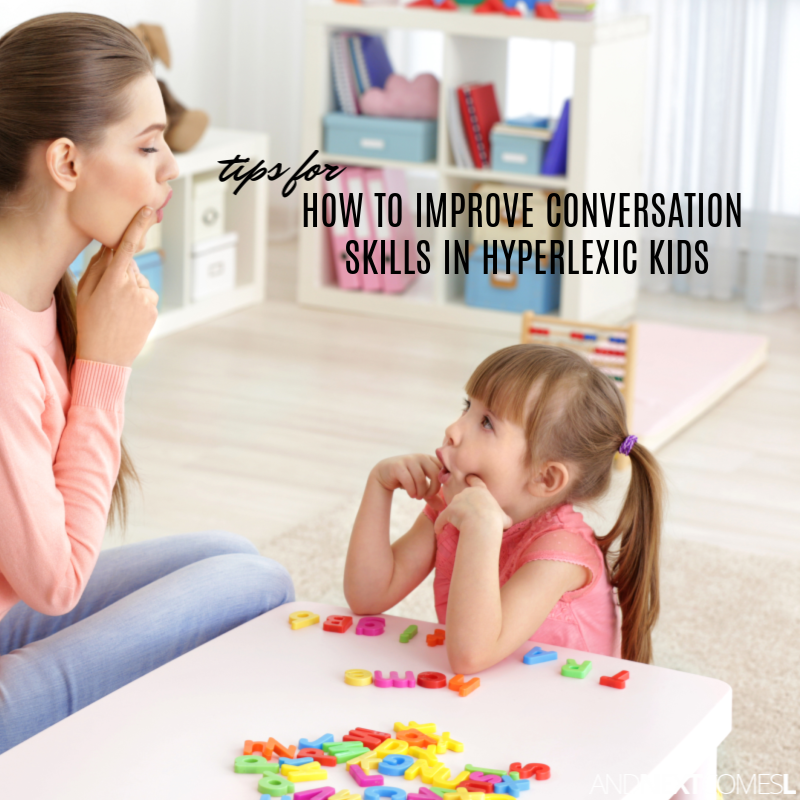 Kids with hyperlexia appear to listen selectively, so sometimes you need to get their attention first before you dive into conversation. Plus, kids with hyperlexia tend to listen to the tone of your voice over the actual content of your speech. You could try whispering in their ear, singing really loud or goofy, or even talking with a song-like, high-pitched voice. Sometimes even singing the question helps tremendously! It's no secret that these kids can read and love to read, so use that to your benefit. While asking your questions verbally, write them on a white board or chalkboard or piece of paper. That way the kids can read and hear what you are asking. 8. Expand on what the child says. Always reinforce what your child does say in response to your questions, even if it's echolalic in nature. So if I ask, "What do you want for lunch today?" and they respond with "Sandwich", I can expand on that by saying, "Sandwiches are my favorite things to eat for lunch. Let's find some bread. Where can we find some bread for our sandwiches?" If they respond with an echolalic phrase, then you can say, "Oh I remember that that is from the [insert title of book or movie that it comes from here]. But when I ask about what you want for lunch, you can say, 'I want to eat _____ for lunch.'" 9. 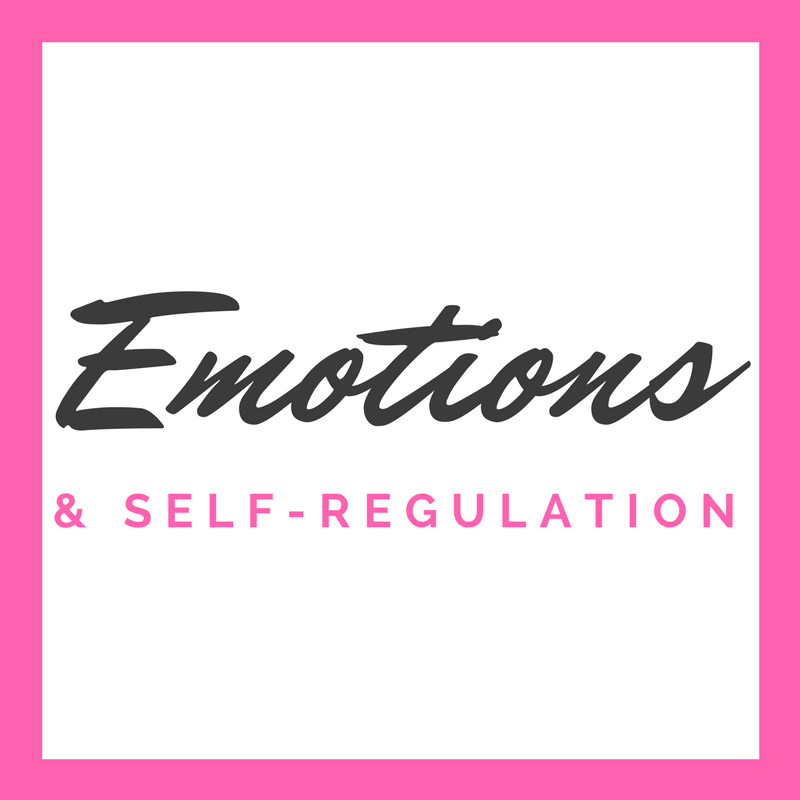 Teach body language and eye contact directly. Body language, positioning, and eye contact are all important things involved in conversations with others. However, you have to teach this skills to hyperlexic kids in a concrete and direct ways. For example, if you want your child to make eye contact with you while having a conversation, then use visual cues to make this happen. I sometimes like to hold up a set of fingers by my eyes and ask, "How many fingers am I holding up?" That always gets J's attention and makes him look at my face, even if it's for a couple of seconds. Alternatively, you could hold up written statements by your face for your child to read out loud during conversation practice. Also, get down to their level so that they can see your eyes. It also shows that you are interested in listening to what they have to say. 10. Avoid using idioms or metaphors while speaking. 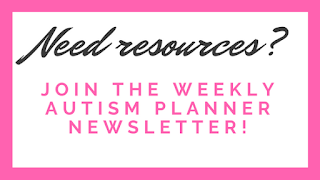 You can read more about how to teach idioms and metaphors to kids with autism or hyperlexia here, but I do want to touch on this topic briefly here as well. 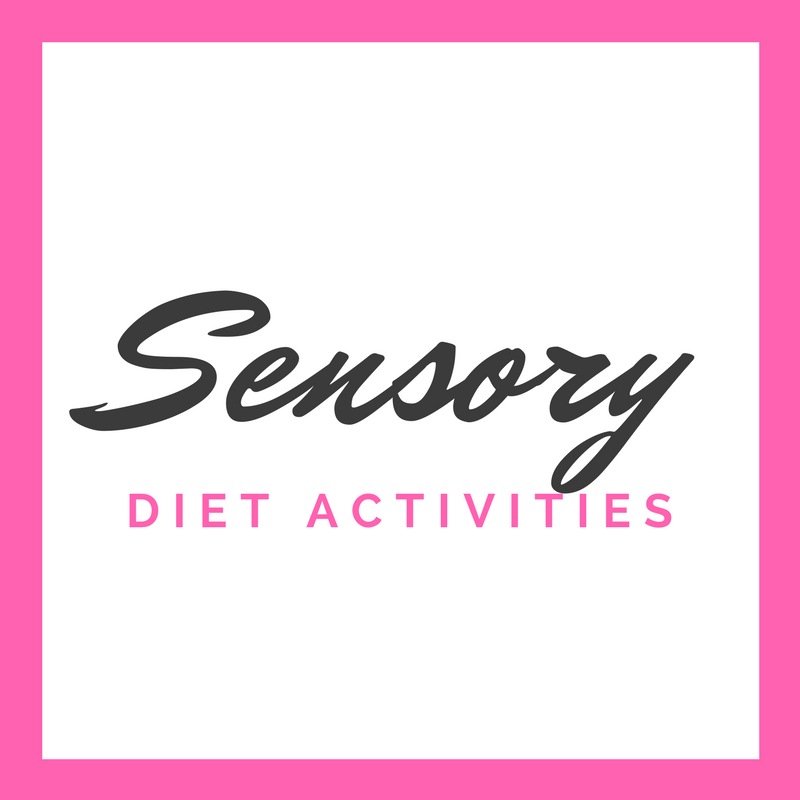 Figures of speech are difficult for hyperlexic kids because of their literal thinking. So avoid saying cliches, idioms, or metaphors during conversation until you can teach them exactly what they mean. 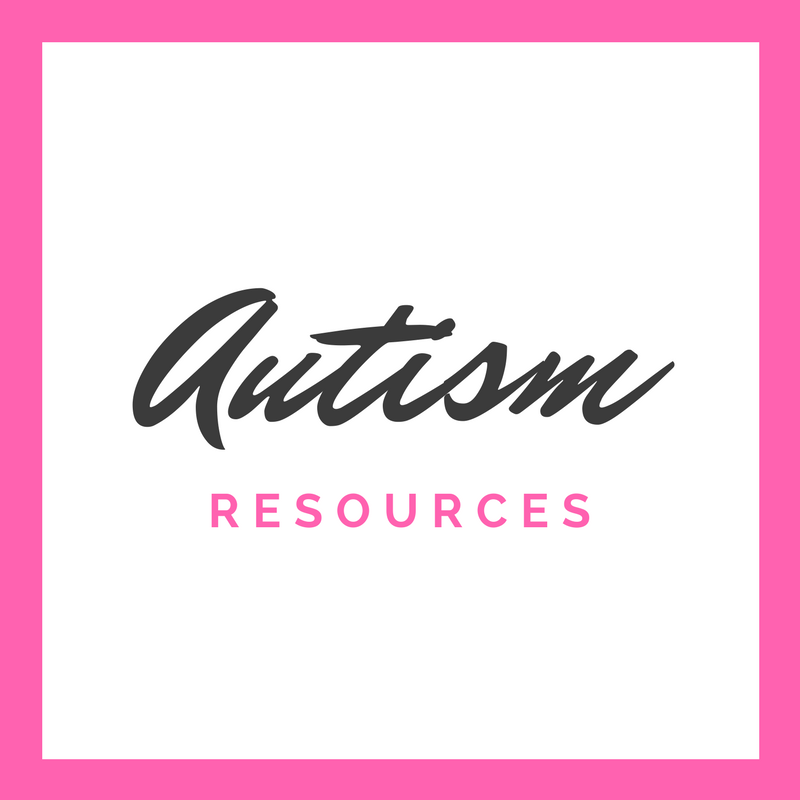 One of our favorite ways to practice idioms and metaphors is with this simple book called It's Raining Cats and Dogs: An Autism Spectrum Guide to the Confusing World of Idioms, Metaphors and Everyday Expressions. It is a wonderful visual book! Finally, use social stories about conversations. 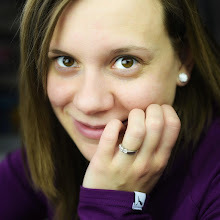 Social stories are a wonderful tool for explaining and teaching all those weird hidden rules of conversation that you and I take for granted, but are tricky for our little hyperlexic learners. 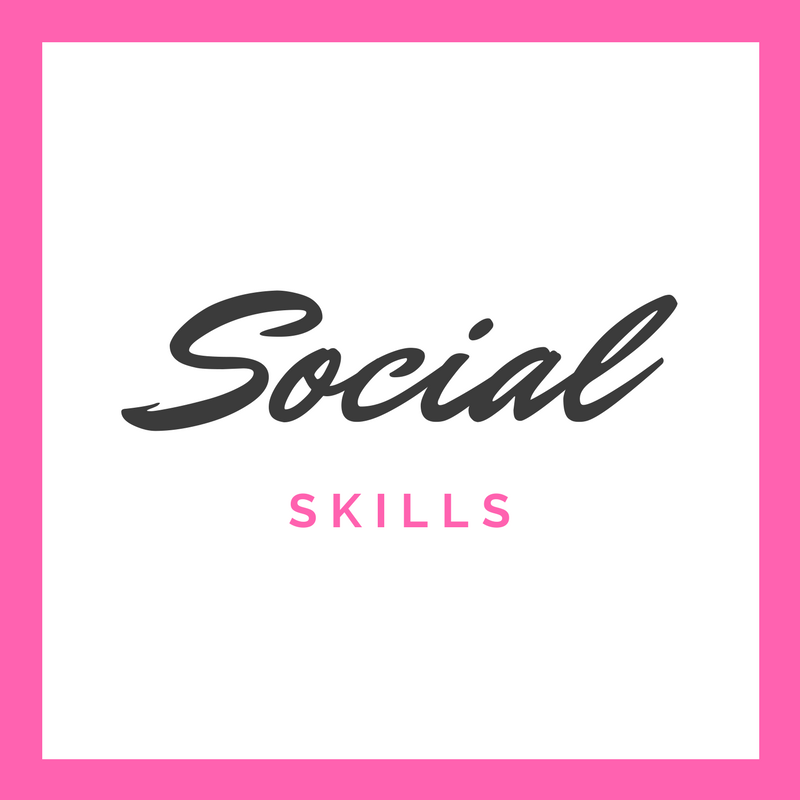 You can find out how to write a social story or check out these free social stories. Great post, Dyan. Our son also often responds to questions with "I don't know", but for him it is usually a way of avoiding a question he knows and not buying time. More common, to him, however, is "I don't remember." I think often, it is the act of putting his memories into spoken language that he is daunted by. Oh that is certainly an interesting interpretation! Children are so clever ... "I don't know!" is ever so manipulative, and shifts all the focus back onto the parent. Stop being manipulated like an adult, and start thinking like a kid. Watch little kids play and talk. Reality and fantasy are completely intertwined; and imitation and imaginary play always go together hand in hand. In your little kid mindset, what works better: "How do you call 9-11?" or "Look ... now I'm a fire truck!"? Think like your kid, and shift all the focus back to where you want to play.